We're available to answer any questions you may have about our cruises. Our friendly and informative team is available to answer any inquiries you may have about our sightseeing cruises, chartering our boats, media inquiries, filming requests and more. What is a Reserved Ticket? A Reserved Ticket guarantees your seat on board. Bypass the box office line and go straight to boarding. Please Note: Reserved Tickets are only available when purchased directly through the Circle Line website or at our Box Office. We are not able to accept reservations from Attraction Pass partners. Premier tickets provide an upgraded VIP experience with a dedicated / covered waiting area, early boarding, premium cushioned seating and even a complimentary Welcome Aboard cookie on most cruises. The exact experience varies slightly by boat. Our Manhattan class boats are 2-level (designed speicifically to fit under the lowest bridges in upper Manhattan for the Best of NYC Cruise, and occassional other routes) while our Bronx class boats have 3 levels. Note: Premier seating on Bronx Class ships is on the upper deck. Guests unable to climb stairs will not be able to take advantage of these seating options. If I have an Attraction Pass (CityPASS, New York Pass, Sightseeing Pass or Smart Destinations New York Explorer Pass), how do I reserve my cruise ticket(s)? Attraction Pass holders should arrive 45-minutes prior to departure time of their desired cruise. Please head directly to the box office to exchange your pass for a boarding pass. Please Note: Tickets can not be reserved on our website with an Attraction Pass and must be picked-up at the box office. May I change my ticket(s) to a different cruise? Yes! If you wish to change your reserved ticket purchased online, just come to the box office to exchange it for any cruise of equal or lesser price. If the new cruise has a greater price than the one you have already purchased, you'll need to simply pay the difference between the two cruises. How much are children's tickets? Children under 3 ride FREE! Please ask at the box office for an infant ticket. We offer discounts for children 3 - 12 years old. Please check specific cruises on our website or ask at the box office. Do you offer packages for Groups? Yes! We offer amazing packages, food and drink menus for groups of every size. Check out our Groups & Charters page for more information. Can you accomodate schools and camp groups? We sure can! A Circle Line cruise is fun and eductional. Learn more here, we'd be delighted to help you. Can I charter an entire boat? YES. YOU. CAN. 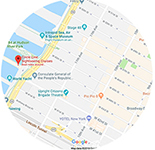 Visit our Groups & Charters page for more information or call us at (212) 630-8885 and one of our expert advisors will help you create an unforgettable event. Yes! We offer a 50% discount for active and non-active duty United States Veterans on all of our regular Circle Line Sightseeing Cruises. Please present your military I.D. at our ticket office when you come to purchase tickets. Offer is valid for up to four people. Sorry, but this discount is not valid online and does not apply to upgrade, combo or premier tickets. What are Combos and how do they work? A Circle Line Combo is a bundled package that includes a reserved-date Circle Line cruise ticket and an open voucher for admission to a Partner Attraction. You must come to the Circle Line Box Office FIRST to activate the open voucher for the partner attraction. Once activated, the Circle Line Box Office will give you printed tickets that you can then take to the partner attraction for admission. Different attractions have different admissions policies, these will be stated on your ticket. Open Voucher tickets are non-refundable and good for one year from the date of purchase. Boarding begins a half hour before departure. To ensure you get on your desired cruise please plan on arriving 45-minutes to 1-hour before the scheduled departure to allow for time to obtain tickets from the box office and also find seating on your cruise. Reserved Tickets are non-refundable and hold their value for up to 30 days. All rescheduling should be made within 30 days from the reserved cruise date. We do not make reservations for our cruises except for groups of 15 people or more. There is a first come first serve policy for groups of less than 15 people on all of our regular sightseeing cruises. Boarding begins 30-minutes before departure, but please arrive 45-minutes to 1-hour prior to departure to allow time for obtaining boarding passes and heading through security. Will your cruises leave on time? Yes! Our boats typically depart exactly when scheduled. PLEASE leave enough time for traffic and transit delays and plan to arrive early. What kind of concessions are available on board? Our standard items include hot dogs, pretzels, nachos, an assortment of fresh sandwiches and salads, assorted breakfast items (during morning cruises), coffee/tea/soda/bottled water and full bar. Did you say there's a bar on the boat? Yes, we serve beer, wine and cocktails. Please have a valid ID (alcoholic beverages only served to people over 21). Unfortunately no outside food or beverages are allowed on board our boats. We do, however, have a full snack bar and beer, wine and cocktails on board. How close do the boats get to the Statue of Liberty? All of our sightseeing boats cruise within yards (meters) of Lady Liberty for an absolutely incredible view. You’ll feel like you’re actually on the island!  Do you offer your tours in other languages? Our tours are narrated in English by the guides, however, we do offer The Circle Line Skyline Navigator companion app that translates our legendary cruise content into seven languages: Spanish, French, Portuguese, Italian, German, and Chinese (Mandarin). It is available on both the Apple and Google Play stores. We highly suggest downloading the app prior to arriving on the pier. Does the Best of NYC Cruise actually circumnavigate Manhattan? Yes! The Best of NYC Cruise circles the entire island of Manhattan and offers the most comprehensive tour available. There are however, occasions out of our control when we cannot fully circumnavigate the island due to high tides. If you have concerns, please give us a call as early as 9:30 AM the morning of the day you plan to take a cruise (212) 563-3200.  Smoking is not permitted on Circle Line’s regular sightseeing cruises including Liberty, Statue of Liberty Express, Statue by Night, Landmarks, Best of New York and Harbor Lights. *Smoking may be permitted in designated areas on Circle Line’s Music Cruises, Bear Mountain Cruises, 4th of July and New Year’s Eve Cruises. Please plan your trip accordingly. Are the boats pet friendly? Sorry, animals are not permitted on the Circle Line boats, except for certified service animals. WHAT WILL I SEE ON MY CRUISE? Please see individual cruise pages for cruise routes and highlights, but note that all of our sightseeing cruises take you close to the Statue of Liberty for incredible photos and selfies. How do I get there (directions)? 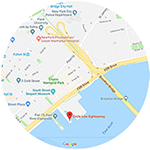 Please note that we have two locations: Midtown (Pier 83 @ West 42nd Street and the West Side Highway) and Downtown (Pier 16/South Street Seaport). Please carefully confirm your departure location before heading to the pier. Take the 1, 2, 3, 7, A, C, E, N, Q or R train to Times Square 42nd Street; train B, D, F to 5th Avenue and 42nd Street, or 4, 5, 6 train to 42nd Street Grand Central Station. Follow directions below for the bus or walk 5 avenues east to Pier 83 (about 1 mile or 1.6km). From 42nd Street take the M42 bus going West, directly to the Circle Line Pier. From 49th Street take the M50 bus directly to the Circle Line pier. Take the A, C, J, Z, 2, 3 train to Fulton Street. Walk southeast down Fulton Street toward the water. Follow Fulton Street all the way to South Street Seaport. Take the M15, QM11, or QM25 bus to Water Street and Fletcher Street. Walk toward the water on John Street until you get to the South Street Seaport. Directions from X8, QM7, QM8, BM1, BM2, BM3, BM4 bus: Get off at Water Street and Maiden Lane. Walk toward the water on Maiden Land until you get to the South Street Seaport. Circle Line is owned and operated by New York Cruise Lines.